PV is a proven technology, and the industry is growing at a very rapid pace. Training is essential, and NABCEP certification is driving the industry to a high standard. Train, obtain your certification, align yourself with a company that offers quality products, and stay abreast of new products, methods, processes and code changes. As a business-to-business manufacturer of PV modules, what made you decide to add another entity to your company and establish MAGE SOLAR ACADEMY? MAGE SOLAR has been selling high-performance modules, intelligent mounting systems, and brand name inverters successfully on the US-market and globally and we have always offered training and educational classes throughout Europe. As we were establishing our North American Headquarters in Georgia last year we knew that there would be an enormous demand for information and education due to the fact that the US solar industry is relatively young. Originally we were planning on launching the academy in the fall of 2013, but then we quickly realized just how big the need for quality industry training is. We quickly put MAGE SOLAR ACADEMY on top of our agenda and MSA opened its doors in January of this year. What type of students do you see mostly enrolled in your classes and what are their ambitions and motivations for doing so? The vast majority is repositioning their business from construction-related industries. With the current slump in building and construction, these individuals are looking either for additional revenue streams or they plan to completely focus their business on serving the solar industry. Additionally, we have seen people from all across the nation that are migrating from IT, employees of utility companies, landscapers … the list really goes on and on. The professional background that many MSA students bring to the table is pretty amazing and really is one of the fascinating things about the young, booming PV-industry in general. What advantage does MSA have compared to a traditional learning environment like a technical school with a PV-element/ course? First, our sole focus really is PV education. Most of our technical training is conducted in intense 40 hour courses, typically Monday through Friday. This allows individuals to train quickly and get moving towards a new career or expand the portfolio of their current offerings. Secondly, even though the academy carries our name, the educational content we deliver is not product-specific, meaning exercises and labs utilize products from a variety of suppliers and manufacturers so that attendees receive a diverse exposure to products and equipment used in the solar industry. Nevertheless, our direct ties to the industry allow us to maintain a cutting-edge knowledge of products, developments, and processes within the industry. And third, an integral part of MSA is its extensive indoor-outdoor training and simulation area allowing for hands-on practice all year round and completely independent from weather conditions. The academy is also actually located in a technology park that features different cutting-edge photovoltaic applications and wants to familiarize students with the wide spectrum of grid-tied and off-grid PV-solutions. Despite all these value-added features and advantages, MSA classes are priced very competitively. Are your courses accredited by NABCEP? Most of our course offerings are strictly tied to the NABCEP learning objectives. Course overviews are sent to NABCEP along with trainer profiles and once NABCEP reviews the content, they qualify for NABCEP training hour credit. Typically what courses do you offer, how long are they and what do they cost? We offer a host of different courses throughout the year, e.g. PV-Fundamentals and Advanced PV, which is in depth knowledge of PV and the NEC Code requirements. Then we have two day high-powered PV-Boot Camp for those about to take the PV installer exam. More training classes with specific focus are currently in development to be inaugurated in the coming months and then we also conduct a series of PV-seminars, usually they are linked to continuing education credits. are the best fit for the needs of our students. After completion of one of your courses, what can your students expect from the job market? Which options do they have? Currently, the job options are really boundless in the industry and we are just seeing the beginning. Graduates of the Fundamental and Advanced class and successful NABCEP-certified installers may be in charge of developing and building a new PV-service within their existing company, which is what a lot of construction businesses have done by sending sent their employees for training in our academy. Some are starting to work for an existing integrator or might even begin their very own company. Others will bring valuable knowledge, opportunities and benefits of clean energy back to their community and might lay the groundwork for a sustainable, thriving future for the city or county. There are a tremendous amount of choices, and really only the sky seems to be the limit. Do you offer any job seeking assistance for graduates of the Academy? pretty amazing to see the synergies emerging when a couple of like-minded individuals get together. Some very successful business partnerships have actually started in our classes as they bring together professionals with a common goal but maybe a very different, yet complementing set of skills and backgrounds. We also bring in different industry experts to expose students to a multitude of channels of career options. In short, we are doing everything we can and we will work very closely with the individual student to make sure he or she can achieve the highest attainable career goal. What is your best advice for anybody entering the PV industry? PV is a proven technology, and the industry is growing at a very rapid pace. Training is essential, and NABCEP certification is driving the industry to a high standard. Train, obtain your certification, align yourself with a company that offers quality products, and stay abreast of new products, methods, processes and code changes. And most of all, remember that the installer holds the key to not only their personal reputation, but the reputation of the industry as a whole. This is why obtaining the best possible training is key to growing solar energy in America. 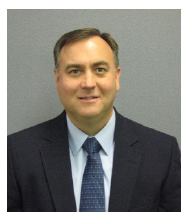 Joe Thomas joined MAGE SOLAR USA as its President and Chief Operating Officer in the winter of 2010. Mr. Thomas possesses a wealth of highly successful manufacturing experience. He last served as Manufacturing Director with Rockwell Automation, managing an international portfolio of high volume large production facilities, providing leadership and direction to more than 1400 employees, and overseeing a multi-million dollar manufacturing of products. His special knowledge and demonstrated capability to manage existing and start-up manufacturing facilities are now a welcome asset in an industry as dynamic in growth as the solar industry, and a great fit within MAGE SOLAR’s powerful group of executives. In his current position with MAGE SOLAR USA Joe Thomas manages an initial 30 million dollar investment at the corporate campus that is home to MAGE SOLAR’s North American headquarters, a solar PV production facility as well as the MAGE SOLAR ACADEMY which offers a range of high level training classes for people who like to break into the exiting world of solar PV.